1. What Should Be Included in the Graduation Video? And of course the graduation ceremony. Taking some establishing shots of the school’s location is a great way to transition from one-time period to the next and also helps put the viewer in the daily life of the graduate. Include the most important people in your life. Family, friends and favorite teachers can all be great additions to the graduation video. While there is a number of editing software available to string together your graduation video most only off the basic tools to put all your images and clips together. Windows Movie Maker and iMovie can allow you to perform simple edits but if you really want to make something memorable you will want to use a more advanced, user-friendly editor. Wondershare Filmora (originally Wondershare Video Editor) is one of the best video editors available that is easy to use and will let you add in some phenomenal effects resulting in one graduation video you cannot wait to show off. Wondershare Filmora is the all in one video maker perfect for creating your graduation video. It comes with all the basic editing essential for photo, video and music editing. There are over 100 visual effects, you can utilize to give your graduation video that extra ‘wow’ factor. Add in texts, titles, overlays, filter, music and more to your video to really let the whole video showcase your personality. Filmora also comes equipped with a wide variety of advanced editing feature too, and even if you have little to no editing experience you will be able to quickly navigate the editor with ease. 3. Sharing and Preserving Your Graduation Memories. Once you have completed your graduation video you are going to be eager to share it with friends and family members as soon as possible. The Wondershare Filmora video editor allows you to conveniently upload your finished video to a number of social media platforms. From Facebook to YouTube you can make your graduation video easily accessible to all your friends and family. Wondershare Filmora also makes it easy and quick to burn DVDs of your graduation video. You can create plenty of copies to give out as gifts or to just perfectly preserve your memories for a lifetime. If you want to be able to carry around your video clips from your graduation video this too can be easily done with the Wondershare Filmora editor! You can have you video clips easily stored to your iOS or android mobile device so you can share with friends and family members right on the spot. Your graduation video should be a tribute to all the hard work and effort you spent the last few years work towards. 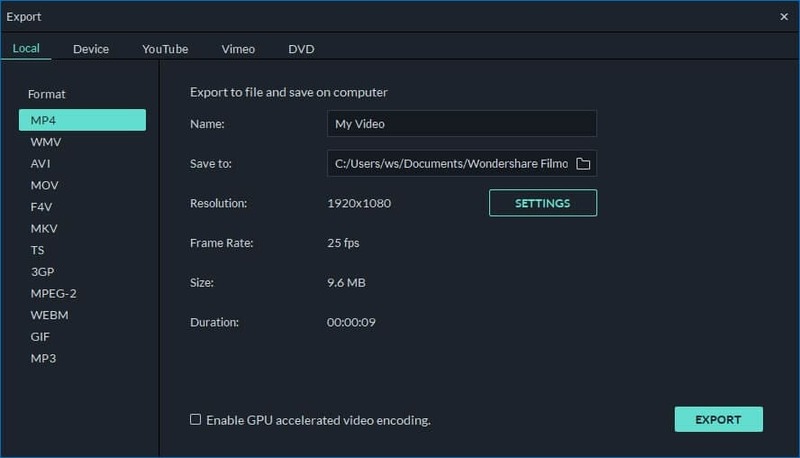 While you can simply piece a few pictures or clips together with a standard video editor, you can make a more memorable and personalized graduation video by using the Wondershare Filmora. With hundreds of effects and easy sharing capabilities, this is the best way you can create, preserve and remember all the years that lead up to your graduation.